Bloomsbury USA Childrens, 9781619634220, 32pp. mice are getting ready for the Mousequerade Ball. They dress in their finest. What a grand affair! the mice get quite a scare. Is the evening ruined? Should they run in fright? Or will a gallant mouse stand up and save the splendid night? 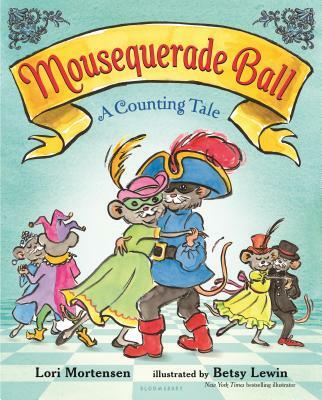 Counting up to ten and back again, dancing all the while, this delightful story invites readers--and dancers--to the event of the season: the Mousequerade Ball! Lori Mortensen has written over 70 books. An award-winning writer for children, she is best known for books including Cowpoke Clyde and Dirty Dawg and Cindy Moo. She and her family live in Northern California. Betsy Lewin has illustrated many successful books for young readers, including Click Clack Moo, for which she won a Caldecott Honor Medal. She lives in Brooklyn, New York.